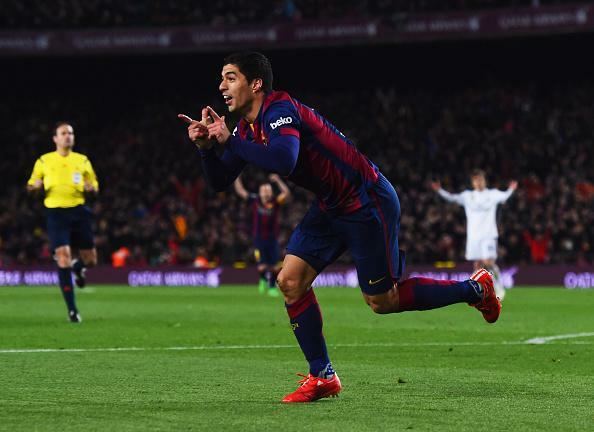 Luis Suarez scored a second-half winner as Barcelona outclassed Real Madrid at the Nou Camp to take the advantage in the La Liga title race. Despite a strong start for Los Blancos, failure to restrict Jeremy Mathieu allowed the Frenchman to head home the opener, but the game would finish even at the interval. Ronaldo caused that as he slid the ball past Bravo in a devastating counter. But, when Luis Suarez latched onto Dani Alves' long ball, he made no errors in sweeping it past Casillas and the wind was taken out of Barca's sails. We had full live coverage for the La Liga clash and you can view it all below.